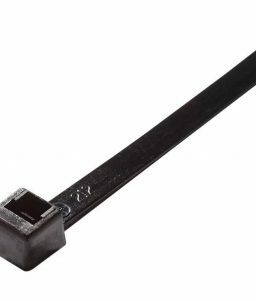 Buy these 7-inch plastic zip ties from OnlineSafetyDepot.com to keep wiring and other items wrapped up and organized. These cable ties come in UV black and include 100 in each pack. They are rated up to 50 pounds. These cable zip ties are rated up to 50 pounds. They are 7 inches long. They come in a box of 100. These plastic zip ties make it easy to keep wires organized as well as grouping components in computers, cable wiring, and in lots of other industrial and residential applications. 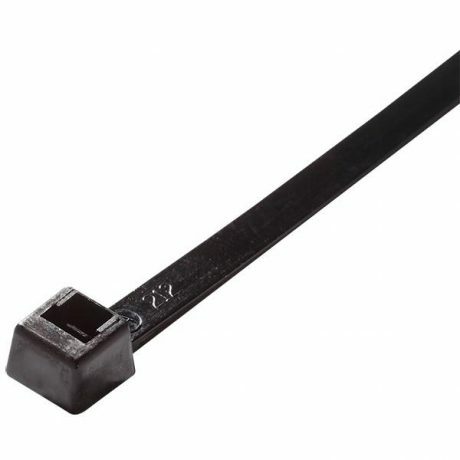 Compared to larger, more industrial cable ties, these smaller zip ties are slightly shorter and thinner so that they can fit into small spaces, wherever you need them, whether in the car, electrical assemblies in a commercial facility or at home. These ties are designed specifically for wire management and organizing other similar components. They have a high tensile strength and a low insertion force, which makes them easy to use when you’re only able to use one hand, or when your hands don’t have much maneuvering space. 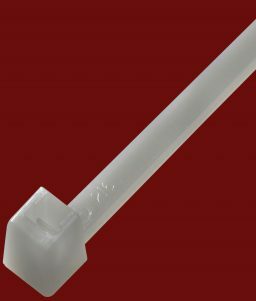 These zip ties are intended for indoor/outdoor use with a working temperature between -40° F and 185° F.
The ties are UL listed Type 21 and UL Air Handling approved: UL AH-2.